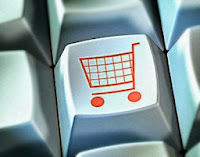 Malta Today, 26/8/2013: 71% of Maltese aged between 15 and 24 have shopped online in the past year, compared to just a third of 40 to 54 year olds and 15% of over 55 year olds. Moreover, while younger Maltese tend to buy more online than their European counterparts, those over 40 tend to buy less, a pan-European survey conducted by Eurobarometer shows. Among 15 to 54 year olds, while 58% of respondents from the EU's 27 Member States shop online, 71% in the same cohort shop online in Malta. But while 55% of 40 to 54 year olds shop in line in the EU, only 33% of Maltese in the same cohort do likewise. Maltese are the most likely within the EU to buy online from outside the 27-nation trading block, and least likely to buy online from local online providers. The Maltese are also less likely than other Europeans to shop online for concert and event tickets...read on.